If you live in Brisbane or the Gold Coast, you’ll be pleased to know that SP Screens is just around the corner. 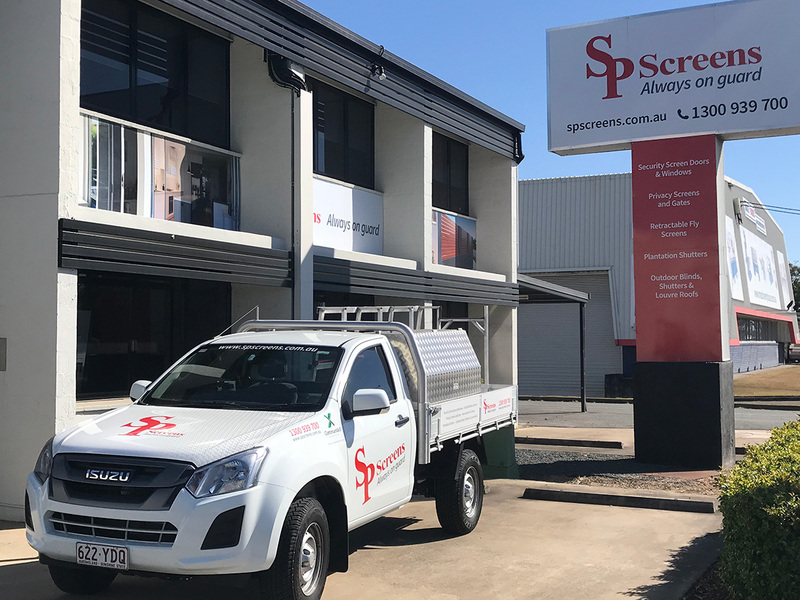 Our showroom in Archerfield and mobile showrooms can service all suburbs, meaning we’re able to provide security screens to all homes looking for quality security screening solutions. Our quality security products provide a secure screening solution, encouraging the cooling breeze to enter your home, while keeping pesky insects – and intruders – outdoors, where they belong. Our screens come from industry leading manufacturers and are backed by exceptional warranties. And as well as being super strong and impact-resistant, they’re designed with style in mind to complement any façade. So if you live in Brisbane and want to keep out intruders and let in the breeze, Contact SP Screens today for a free measure and quote. SP Screen’s huge range of security doors offers you the chance to choose the model, and the styling, that suits your home and your budget perfectly. Our industry-leading SecureView 316 Marine Grade stainless steel meshing is resistant to corrosion, to a variety of forced entry methods, and will reduce pesky insects entering your home. The popularity of both multi-storey homes and apartments blocks has made the protection of children and pets a high priority for many families. Our FallSafe screens provide an excellent method of ensuring that your home’s residents are not in danger of falls. Brisbane’s strikingly amenable climate means we can enjoy meshing our indoors spaces with the outdoors, and few additions to your home accomplish this as well as a set of wide bi-fold doors. They can showcase your alfresco dining and entertainment areas, and retractable flyscreens can ensure that you are not inviting all manner of insects indoors while enjoying them. Complete with easy storage options, you can make the most of your space. Our privacy screens, wrought from aluminium, are a low-maintenance method of screening your yard and your property from neighbours and passers-by. They can increase your useable space, while encouraging home safety and discouraging theft. The classic plantation shutters has become a favourite among Brisbane’s homeowners, and for good reason. They are stylish, easy to dust and maintain, and provide shade to the Queensland sun – an excellent way of preventing your home from overheating, and your energy bill skyrocketing. Custom made, we colour match to your home. By insulating your home and blocking direct sunlight, outdoor roller blinds have the potential to greatly improve your energy bills, while providing more comfortable indoor climate, and reducing noise. Available in a wide range of configurations and colour, you can pick and choose your ideal product.